How to play as Mario and his new companion, Cappy, in Super Mario Odyssey. Co-op mode opens up a variety of possibilities as you progress through the game. One of the main features of Super Mario Odyssey is the ability for two people to play the game simultaneously. In Co-Op Mode, one player controls Mario while the other player controls Cappy. This feature makes the game much more exciting as two players need to coordinate their moves in order to progress through the game. 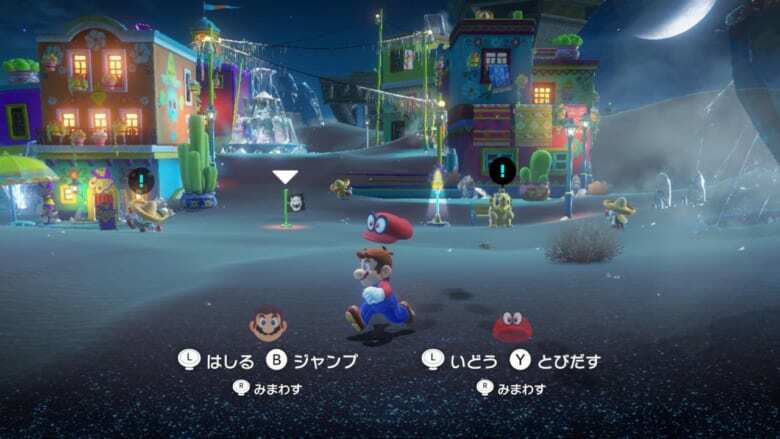 In a video uploaded by Nintendo America, the hosts showcased how the Super Mario Odyssey Multiplayer Mode works and how its mechanics differ from the single player mode. Although Mario can move independently, Cappy needs to stay at a certain distance near Mario, so Cappy cannot venture alone in an area. In addition, Mario can still perform a hat throw even if Cappy is not prepared to perform the throw. The Co-Op mode still plays like single player mode because Mario is free to perform any cap moves. By the looks of it, however, players will have a lot easier time clearing enemies with the help of a second player on Cappy. For example, Cappy can perform multiple hat throws (or in his case, hat spins) at a distance. In addition, Mario can jump on enemies and Cappy can throw himself at them, making it easier and faster to eliminate enemies. Finally, Cappy can clear any hazardous platforms before Mario even gets to those platforms. This mechanic gives players a faster experience than playing the game alone. That all said, a lone player can still play and finish the game with ease without the help of another player. Nintendo seems to have added Co-Op Mode just to add re-play value to the game. Once you finish Odyssey alone, it’s fun to experience the game in a new way by inviting your friends to play the game. Check out our Super Mario Odyssey Wiki Page for more strategy guides like walkthroughs, boss guides, and more.